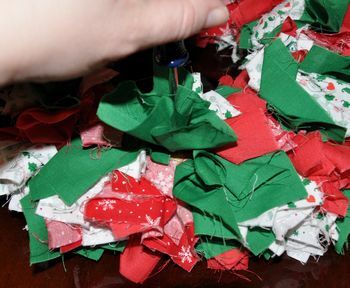 To make a homemade Christmas wreath find several different fabric pieces that go well together. We'll be cutting them into squares and using a straw wreath. 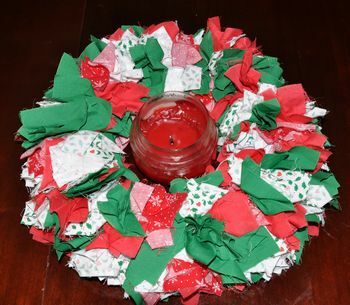 You can make any type of holiday wreath by using holiday fabric or use colors that match certain rooms in your house. They make beautiful gifts and holiday decorations. These straw wreaths come in different sizes and in circles and heart shapes. Use two or three different fabric pieces and cut into 4x4 inch squares. A rotary cutter works well but make sure you have an adult's help with that step. 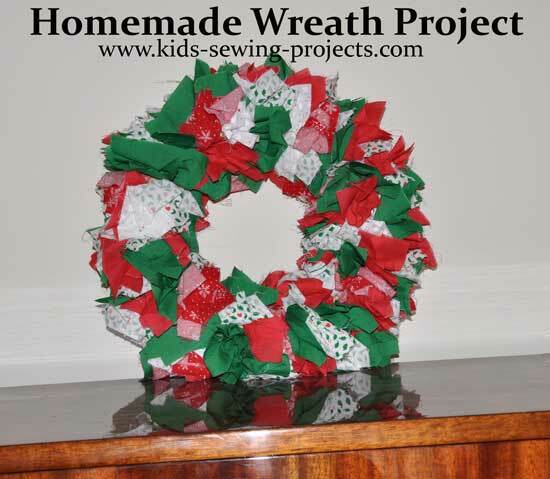 The number of pieces will be dependent on how big your wreath is and how full you want it. Take a fabric square and place your screwdriver in the middle. 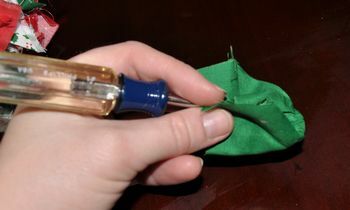 Wrap your fabric around the end of the screwdriver. 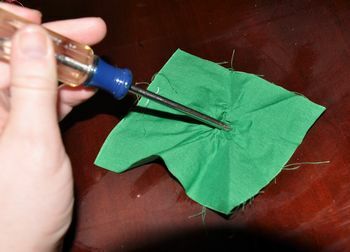 Poke the piece of fabric into the straw wreath. Continue filling in wreath with different pieces of fabric. Fluff out your fabric as needed. Hang up, place on the table as a centerpiece, etc.